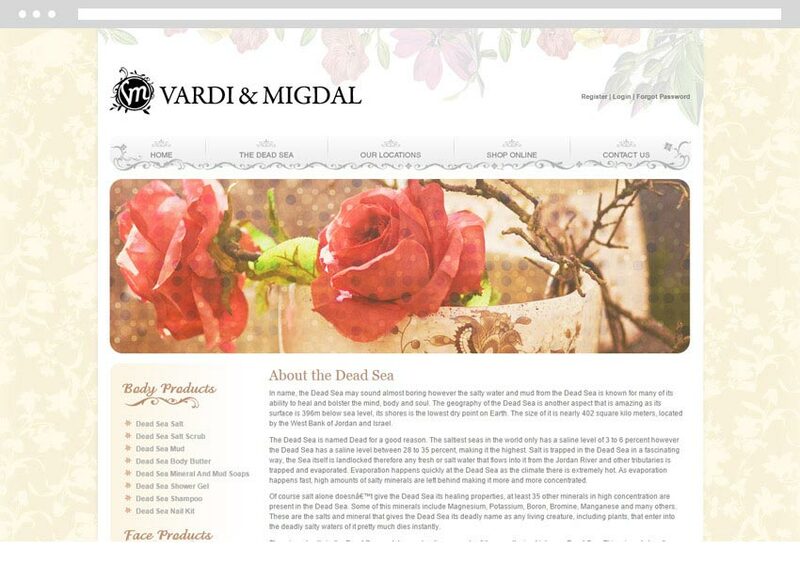 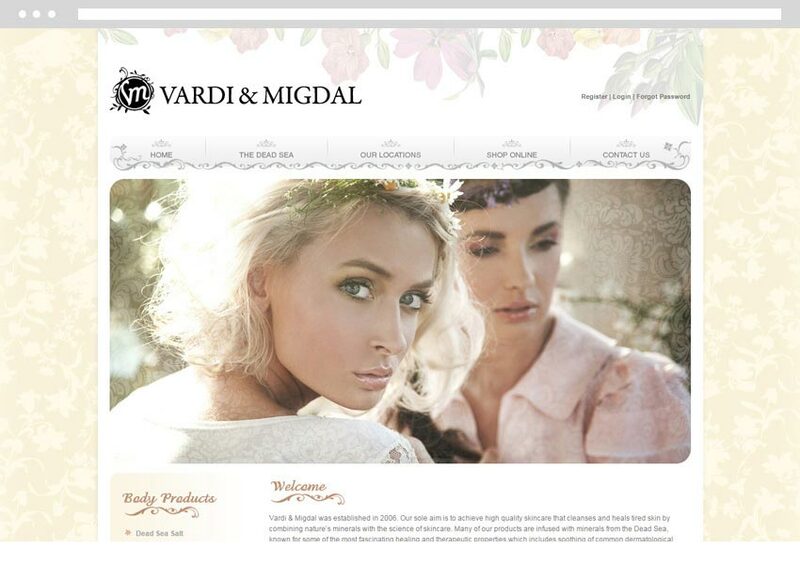 Vardi & Migdal's products have culled inspiration from the natural earth and all the goodness it has to offer. 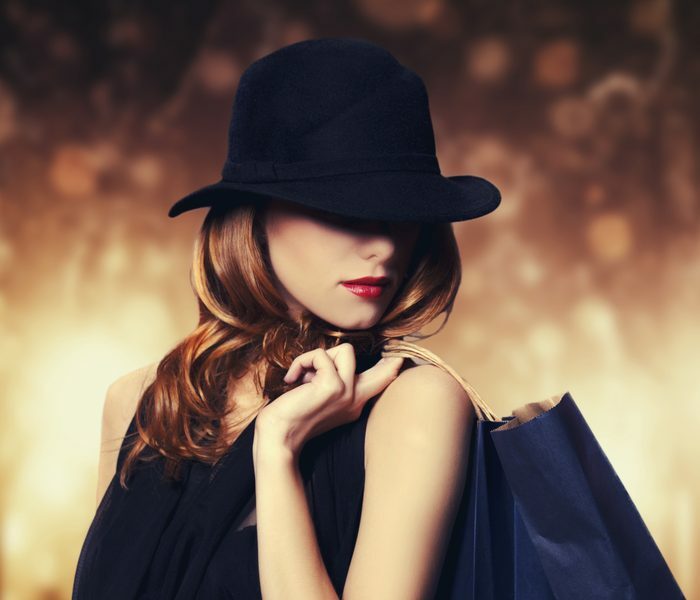 Pamper yourself with the most luxurious beauty products from V&M. 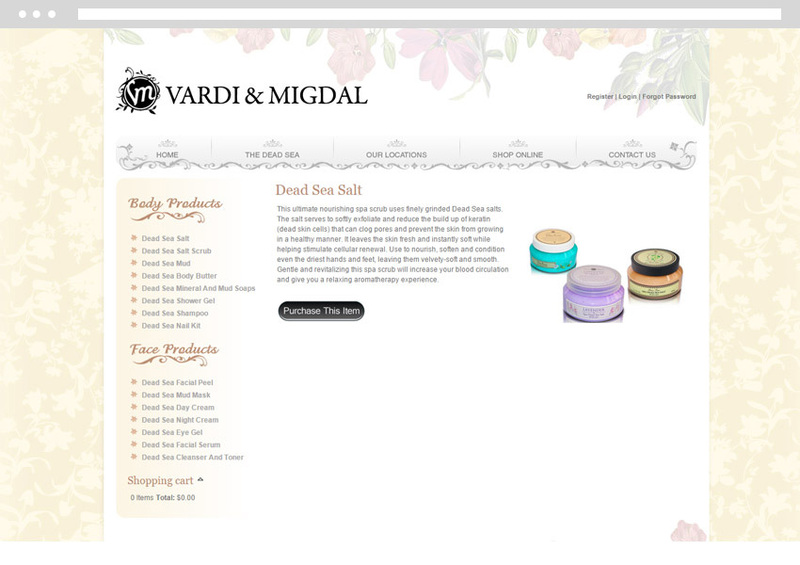 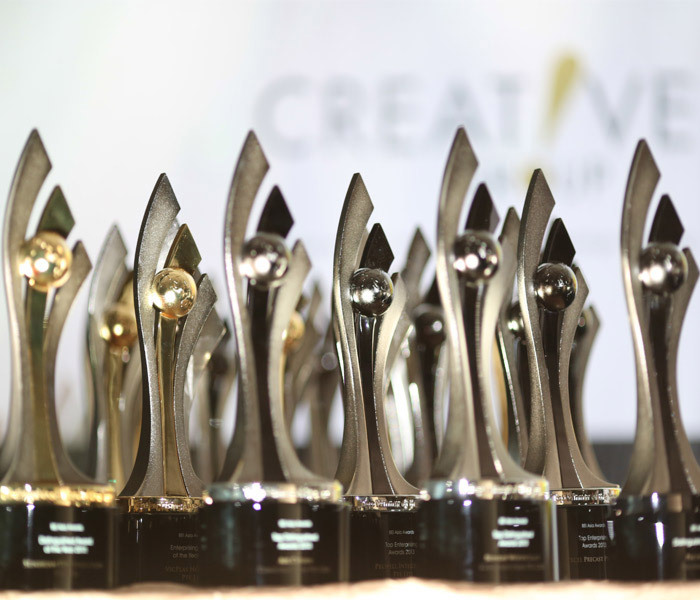 In today's futuristic society where browsing beats walking, V&M's new digital web store has emerged and is growing stronger than ever with countless of wonderful Dead Sea salt products.